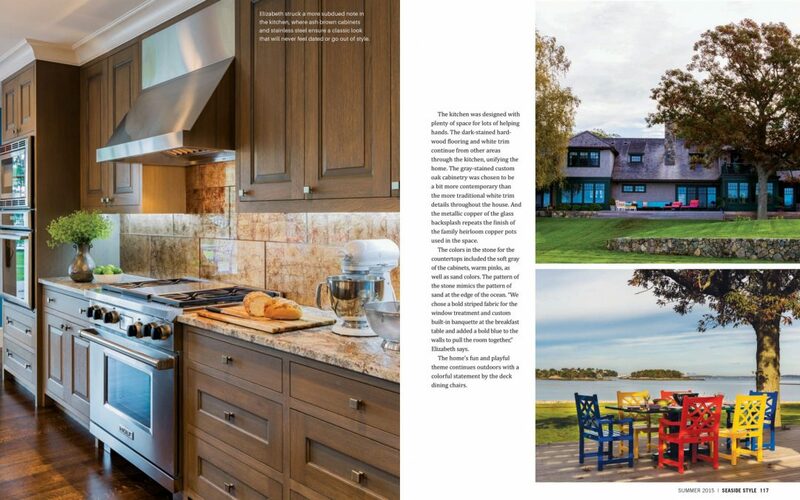 In this renovated Hingham, Massachusetts waterfront home, Seaside Style highlights the unique combination of traditional design and contemporary style fashioned by Boston interior design firm Elizabeth Swartz Interiors. 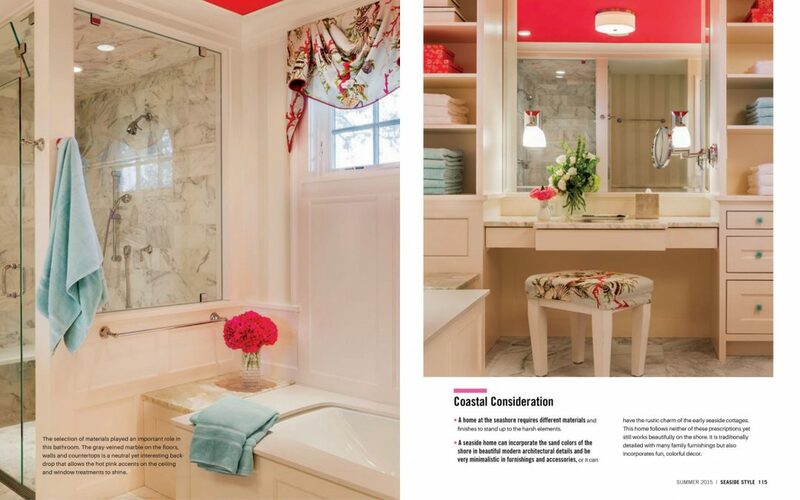 The home features a variety of bold colors, patterns and textures. 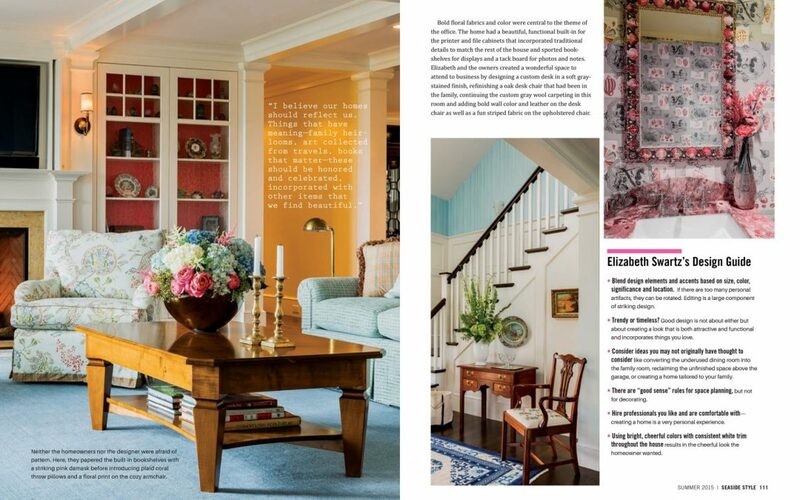 “I choose colors the same way I design spaces for my clients,” said Elizabeth, “by listening both to what they say and don’t say about what they like, spaces they find attractive, their memories of wonderful rooms or homes. 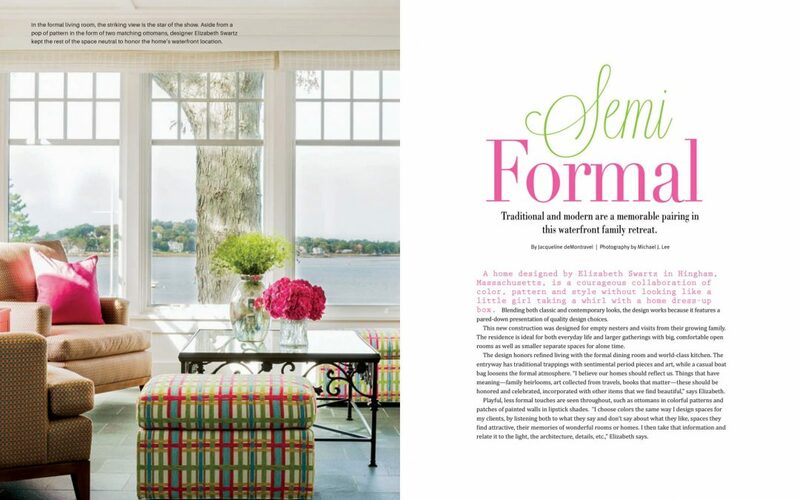 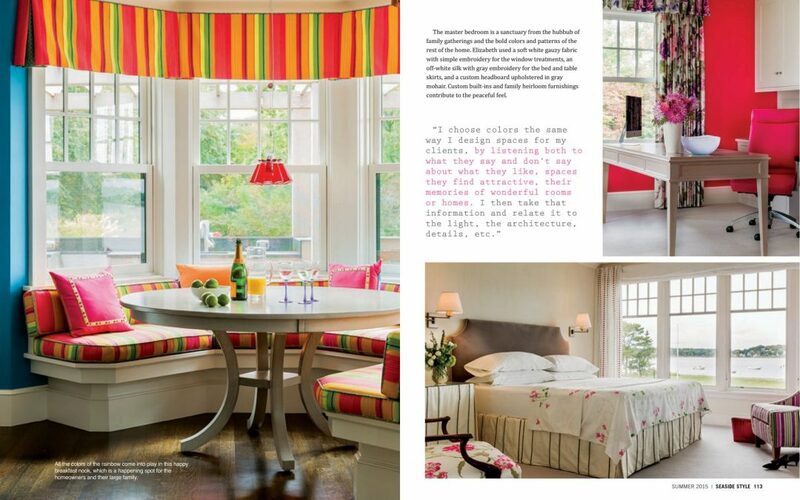 I then take that information and relate it to the light, the architecture, details, etc.” Included in the article are several interior design tips from Elizabeth Swartz, ASID.